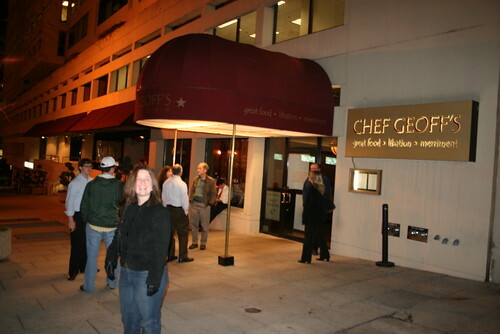 Chef Geoff's in Downtown DC, originally uploaded by shashiBellamkonda. Went to this restaurant for dinner organized by @newmediajim. As you enter the restaurant the welcome is very good. The menu consisted of gourmet specials to excellent sandwiches.The food was very good and the service professional. I had the Jumbo Shrimp and Very Gouda Grits -w/ Peppers and Tomatoes for dinner. They have valet parking. The restaurant is opposite the Warner Theatre. The chef of this restaurant was featured the same day in the Washington Post.